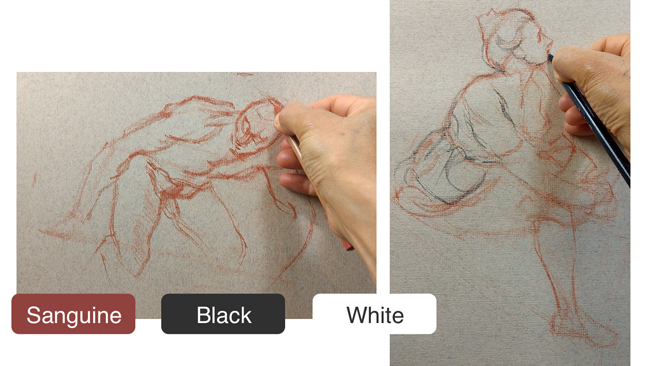 We are going to learn about a straightforward way to make your drawing feel 3-dimensional, specifically we’re learning from Antoine Watteau and the three chalk or ‘trois crayon’ approach. We’ll see why it’s quite a simple approach to start using, and if you’re a beginner it can teach you a lot. 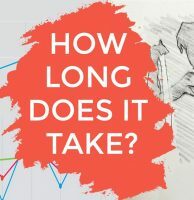 But this video / article is also a story about breaking out of a slump, when every drawing you try seems to be failing. This video was born from a conversation between me and my mum Mayko where she explained she was struggling to draw. She explained that she felt heavy, stiff, nothing worked. So to break out of that, she decided to go back to something more basic and free, and also enjoy one of her favourite artists. 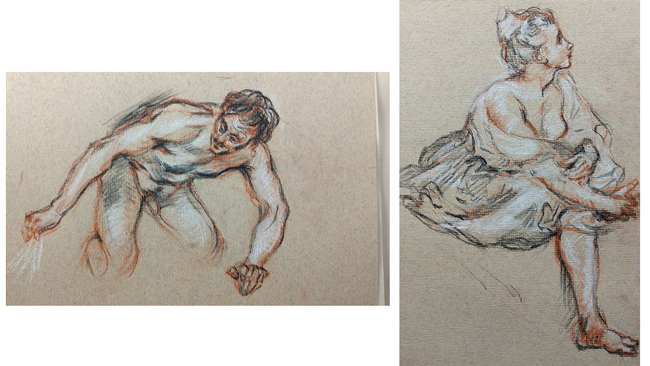 She decided to do some studies of Watteau’s trois crayon drawings. So what is this technique? It’s where you draw using a neutral coloured paper and then a sanguine chalk or pencil, black or maybe a dark brown, and white. And in many ways it’s an easier approach than trying to just apply pencil or charcoal to white paper. Why should I try this? 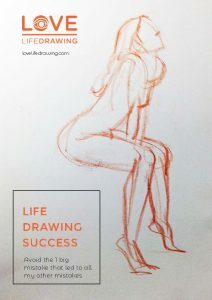 So one of the basic challenges in life drawing is that the figure is 3D and the drawing surface is 2D. So we’ve got to create that illusion of 3D in the drawing. And there’s various ways to do that. One of the most obvious ways is by explaining where the light is falling and where it isn’t falling. One tricky part is that there are so many different levels of light and dark in the figure. So you can simplify those into fewer levels of light and dark, and we’ve talked about that in other videos. You could even simplify into the lightest areas, darkest areas, and then maybe a few mid-tones. So far so good, but then how do you achieve even those few simple levels of light and dark on the paper? 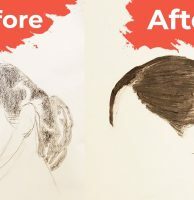 The most common approach is that you start with white paper, which is all very light, and then you use your pencil or charcoal or whatever to move some areas towards dark. The light areas let the paper show through. The mid-tone areas use a softer application of the material, maybe some smudging or hatching and the darks use a more intense one. But it’s hard to apply these variations. You need a lot of skill. If you’re already struggling to get proportions and structure and so on right, it’s really easy to start pressing too hard and suddenly everything is a very dark mess. It’s easier if you can limit this range somewhat. Work in smaller ranges. 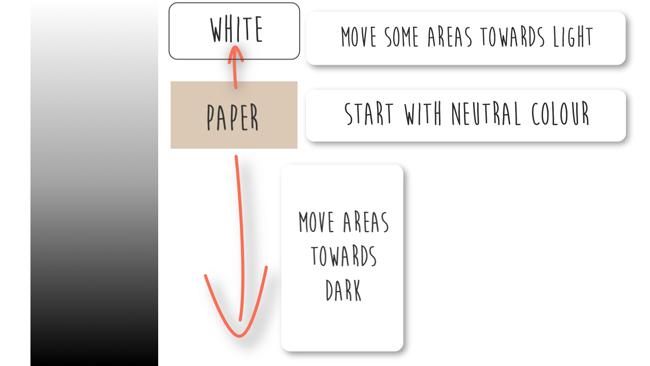 So firstly, start off with a neutral coloured paper, you are starting closer to the middle. So now you can move some areas towards light with the white, and others towards dark with the sanguine and black. You’ve broken things up from the start, making them easier to deal with. Now this range is still fairly big, so we can split it up a bit more. Sanguine doesn’t go super dark. So when using that, we can only really work in this smaller range. That means black only has responsibility for this little bit down here, the darkest areas. You can press too hard in these areas, it’s ok because they are on that dark end. 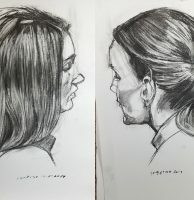 So now instead of starting with total light and skilfully varying the intensity of the charcoal or whatever from there to create the drawing, we now have split the work into four simpler levels. The materials are naturally suited to each of these levels, so you can go wrong with them, and stay around the right place. If we didn’t have the black, just the sanguine, it wouldn’t be dark enough. We wouldn’t get that depth. Also, the sanguine is a warm colour, so it comes forward towards your eye. The black goes back, it recedes. So having both helps give more depth. 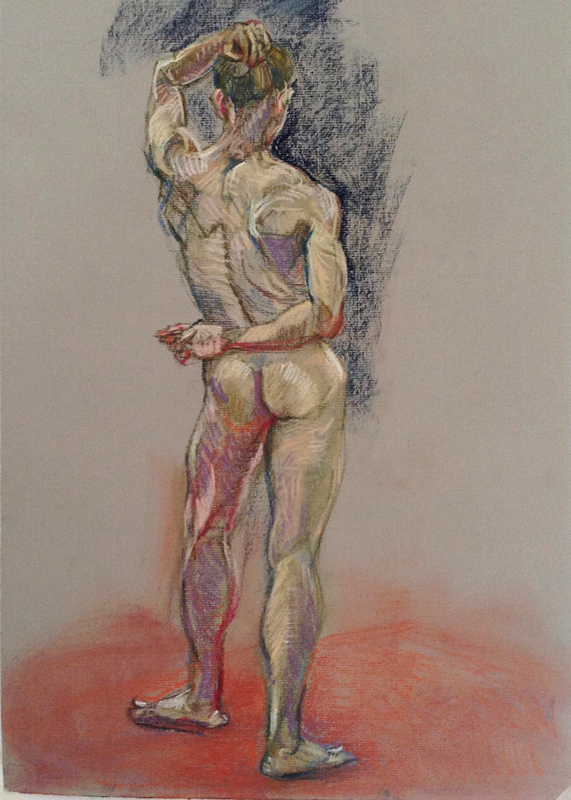 Sanguine also brings life to the figure – it’s reddish colour gives a sense of blood pumping within this living creature. It can also an draw attention too. Mayko realised after starting to use sanguine for some of the drapery that the Watteau actually used just B&W for the cloth, and kept the sanguine for the figure only. When you start with white paper, it’s tricky to highlight just the lightest bits. You would need to cover a lot of paper with a subtle mid-tone so that the white of the paper stands out, like Frank does here. 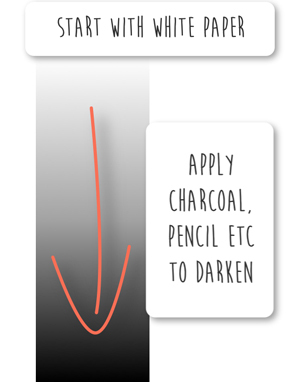 If you’re using watercolours or a big box of pastels, you have the opposite problem to when you’re just using pencil or charcoal. Now you have so many options it’s overwhelming. Limiting things down to just 4 is a good balance. 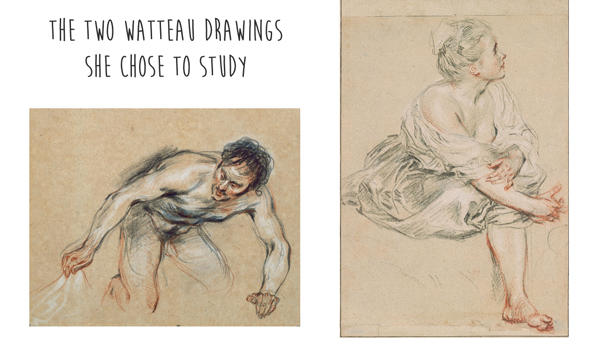 Watteau used well-sharpened chalks (crayon) in sanguine, black and white. Conté à Paris makes similar chalks in the forms of ”carré” and pencils (black is called Pierre noir). You can use pastel pencils for the sanguine. Mayko used Faber Castell PITT pastel pencil. Stabilo CarbOthello is nice and soft, but also a bit breakable. Koh-I-Noor makes good affordable ones in sets. She’s using pierre noir for the black, a 3B. Mayko likes to use any brand of soft pastel for white to get more opacity and richness than she would get with a white pastel pencil. 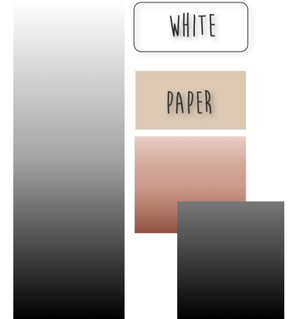 You can also use some decent colour pencils for sanguine and black, but white coloured pencils are often a bit weak to bring out strong highlights. The paper is very important for this technique. It has to be a neutral colour. She used beige Ingres paper. 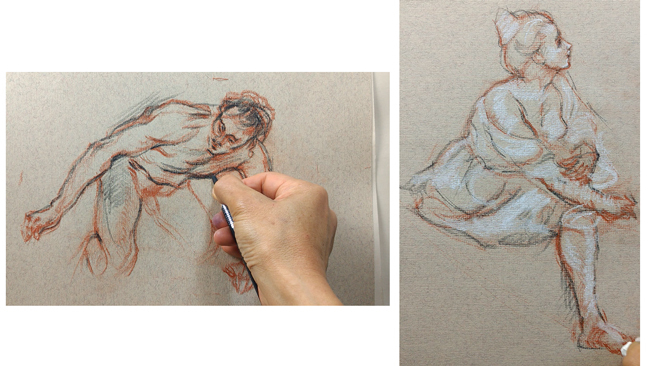 Ingres paper is great for chalk, pastel, charcoal, but it has a fine stripy grain, so it’s hard to make smooth continuous lines on it, although it takes pigments well. You can get tinted pastel paper without a grain, but it’s hard to really know how paper feels before actually use it. You can get some “sample packs” at some online shops, so if you want to know more about paper, that’s good way to go. Or you can apply a thin wash of watercolour to white paper to get a neutral tint on it, but there is a risk that the paper warps, unless you stretch it beforehand. But you know what, light brown wrapping paper or craft paper is also great for your practice. So what about Mayko’s drawing slump? Is it TOO LATE to learn to draw & be a good artist? I’ve just found your videos and hint while browsing on the internet! Absolutely fab and I will learn as I follow them.